When living in a small town you should do as the locals do. 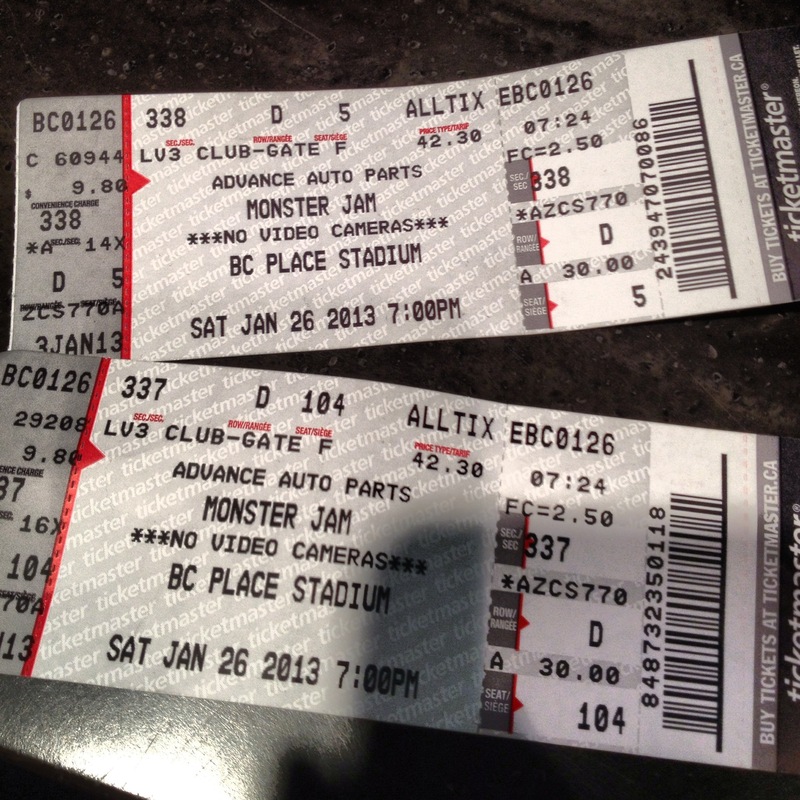 When Shayne found out that Monster Jam was coming to Vancouver we knew that a date-night was in order. 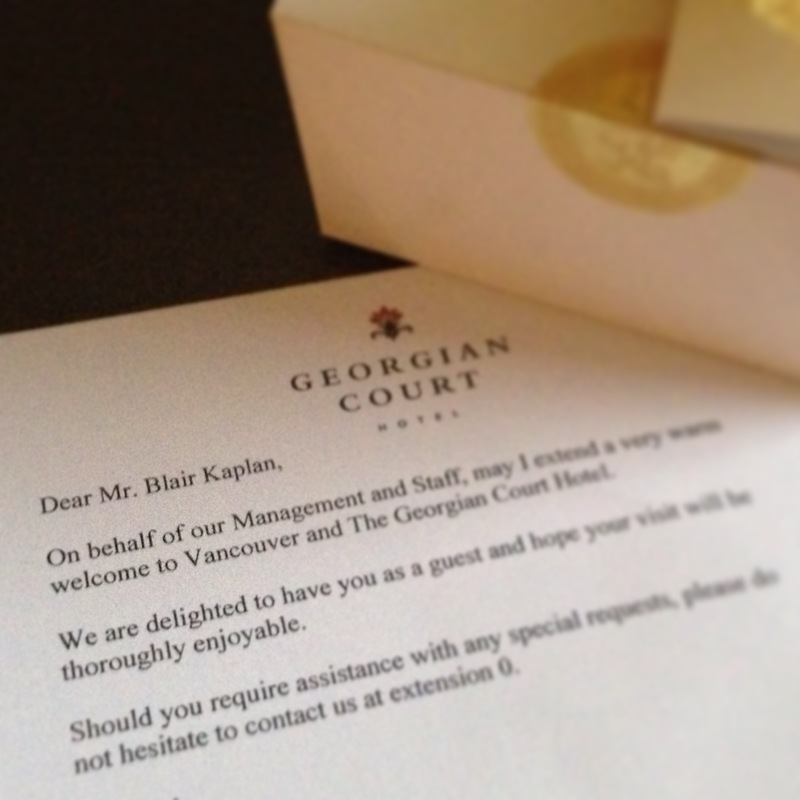 Shayne was in charge of buying the tickets and I got us a hotel room at The Georgian Court. We were excited for our 2nd Monster Jam experienced for a 2nd year in a row. Yes, we went last year…. Well, after we were all checked in we decided to head out for dinner to Abigail’s Party. Due to not living in Vancouver anymore, I was unaware that is it Dine Out Vancouver and at 5:30pm the whole restaurant was reserved and we were unable to use our $100 gift card. So, we sauntered over to Hapa Izakaya in Kits for Hapa Hour. This is recommended to all. Affordable and yummy Japanese cuisine. We finished our meal and taxied to Monster Jam. Our tickets, purchased from Ticketmaster, were in the “Club Seating” area. The seats here are in the middle of the arena, cushioned and have a bar/lounge area. Due to Ticketmaster’s failure at sending us the right tickets, Shayne and I did NOT have seats together. Date night fail. Luckliy there was the lounge and we watched the show from bar. Too bad these were “expensive” tickets. The trucks were loud and the coolers were expensive. I’m talking $8.50 per cooler expensive….we had 3 each which came to $1000! After watching crashing and speeding and crashing and wheelie popping, the show came to an end with Grave Digger winning. So, Monster Jam is now a tradition and I suggest everyone go. It’s cheap family fun, minus the booze and always double check your seats, even if you have a responsible partner. Skiing so I can Après? I did it. I went down a green run. What this means is that I am no longer on the learning hill. 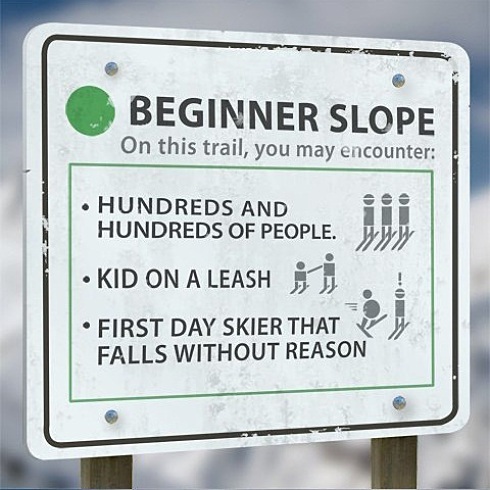 The “green run” is the easiest slopes at a mountain and are usually wide and groomed, and not that “steep.” It does not mean that the snow is green in colour. I went up the Fitzsimmons Express… which was neat because it was outside (unlink the gondola which is inclosed) and got off at mid station. I hung out on Whiskey Jack for the morning (from the very top and midstation). I forgot my #1 rule: DON’T LOOK DOWN! I fell but a friend picked me up and I slowly remembered everything that I have learned. When your boot buckle is stuck, do another buckle up in order to undo it. Don’t freak out and tell other skiers your boot is broken because it’s not. 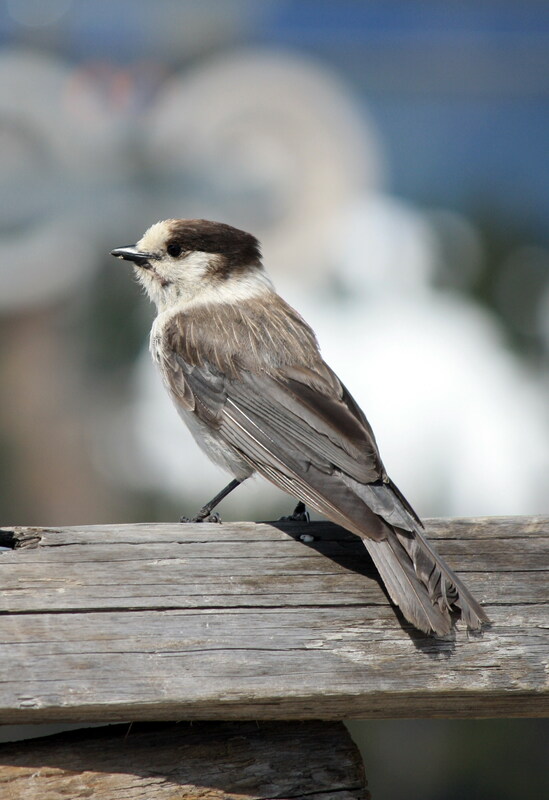 Whisky Jack is also a cute bird that hangs out on the mountain. There are many lines to get onto the chairlift. Know where to go (you can ask). It is confusing. I also love après. Après refers to socializing over drinks when your ski day is done. I have been Aprèsing for a long time so I guess you can say I’m now pre- Aprèsing. This weekend featured cesars and friends (Thea and Jodie)! So, now that I’m on the grownup runs and embracing the après I feel like I’m growing up in the ski world. Soon I will try a different run (or maybe 2). What do you suggest I try next?